Brit Rock group The Darkness played in New Zealand this week. They first came to prominence with the release of their debut album, Permission to Land, in 2003. Backed by the singles I Believe in a Thing Called Love, Growing on Me, and Love is Only a Feeling. Outgoing bassist Frankie Poullain confesses, “My top half is Scottish and below the waist I’m French.” He admits “I was a very happy kid in the 1970s, it was my golden time,” during the recording of the second album, things took a turn with the band with it being reported that he had been “technically fired” from the band. Poullain left the band in 2005, citing “musical differences” as the reason. 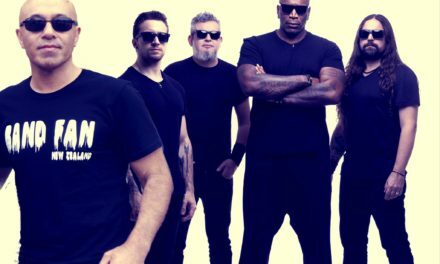 He was replaced by Richie Edwards, a former guitar technician for the band. His departure caused quite a stir with the press, however, in 2011 The Darkness officially announced that they were to reunite, with all four original members. 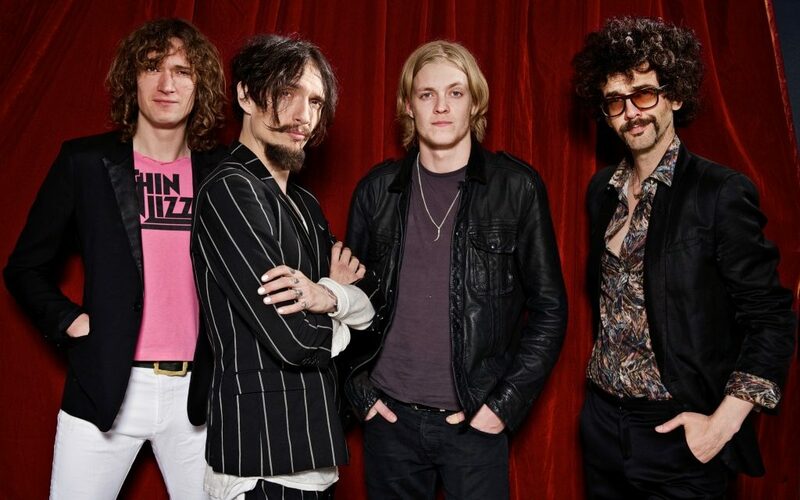 The band from Lowestoft, Suffolk, currently consists of lead vocalist/guitarist Justin Hawkins, brother Dan Hawkins on guitar, Frankie Poullain playing bass and son of Queen drummer Roger Taylor, Rufus Tiger Taylor on drums. “It’s our first album with Rufus Taylor.” He says. The way he hits the drums, he’s a very primal, energetic drummer so we’re feeding off his style, he’s powerhouse. It’s the first time I’ve ever worked with a powerhouse drummer. 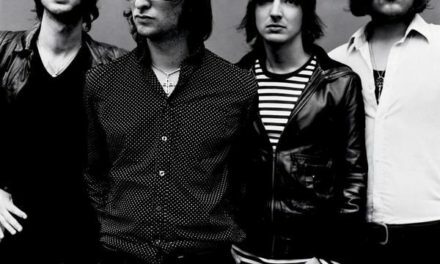 This year, The Darkness announced album number five; it will be released later in the year sometime as Poullain says “Some of the songs haven’t even got titles yet, the album will come after the NZ Tour.”, After which, the band will embark on a winter tour of the UK in November and December. “They’ve shot about 300 hours of footage,” he says. “They’ve captured a lot of drama, good times, poignancy – You forget the cameras are there after a while and that’s good. It really depends on what story they choose to tell because they’ve got so much footage, they could leave things out.